A magisterial life of the renowned British politician and empire-builder. 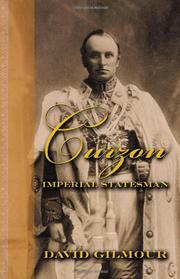 Gilmour charts Curzon’s life through success and failure, turning in a well-formed view of the late imperial era in the bargain. An outstanding biography of an important historical figure.